My dogs are probably quite spoilt in the same way my kids are. I am very strict but dote on them, whether on two legs or four. 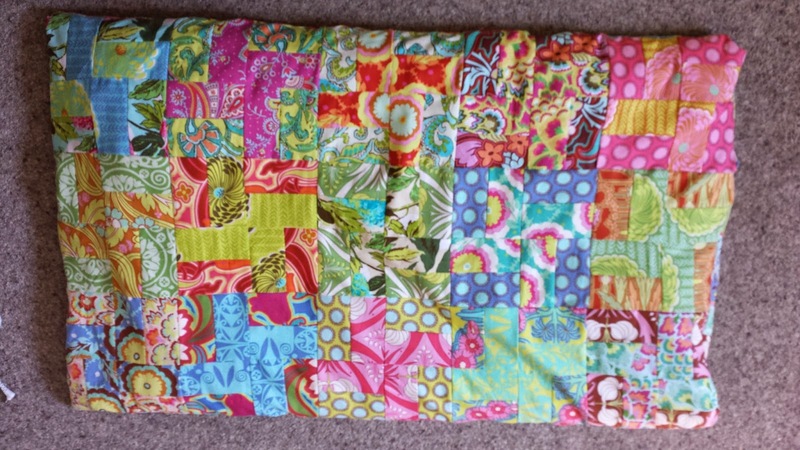 I had been given a jelly roll from True Spirit fabrics. Not really my taste but I kept it. Looking at my dog’s old bed (a knackered single duvet that has seen better days) gave me an idea. I sewed the strips in pairs, cut them into squares and then did the windmill pattern you can see here. I’m not a very experienced quilter so I’m probably not using all the right terms. Anyway, as soon as I took it home Buster claimed it, very happily. He quite likes flowery fabric. 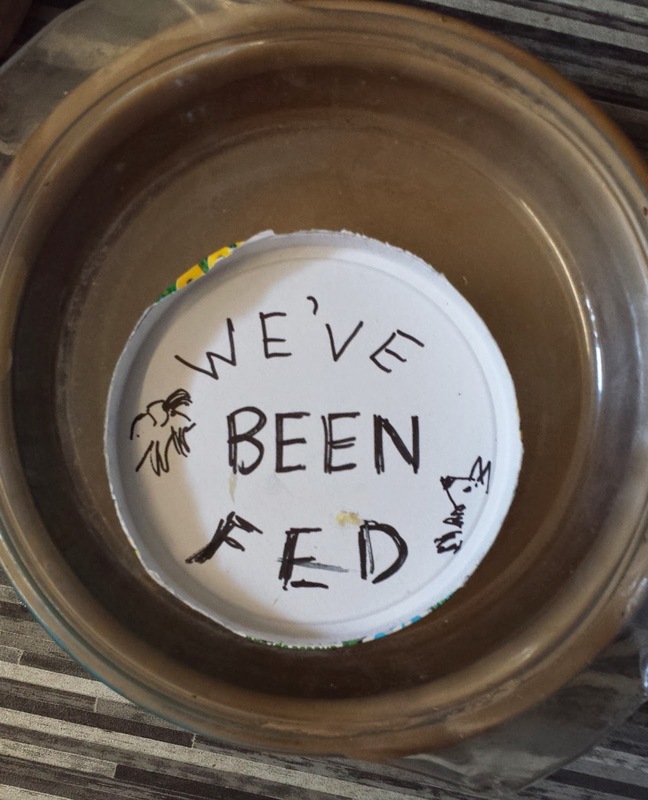 Oh yes and here is how my husband makes sure the dogs get one meal at a time! It just tickles me every time I see it. Dairylea boxes are so useful.